Cancer patient receives stem cell-made windpipe, first in U.S.
(CBS) In only the second operation of its kind, a Baltimore man has received an artificial windpipe made from stem cells to replace one destroyed by cancer. Christopher Lyles, 30, had tracheal cancer that had progressed so far it was considered inoperable, the New York Times reported. In November, doctors made him a new windpipe - or trachea - made out of tiny plastic fibers seeded with stem cells from his own bone marrow. Two months after his successful operation, Lyles arrived home in Md. last week. Surgeon Paolo Macchiarini, a professor of regenerative surgery at Karolinska Institute in Stockholm, performed the surgery. He's also the doctor who performed the first surgery of this kind on a 31-year-old Eritrean man last July. Both surgeries were done in Stockholm. "What we did is surgically remove his malignant tumor," Dr. Macchiarini told the Times. 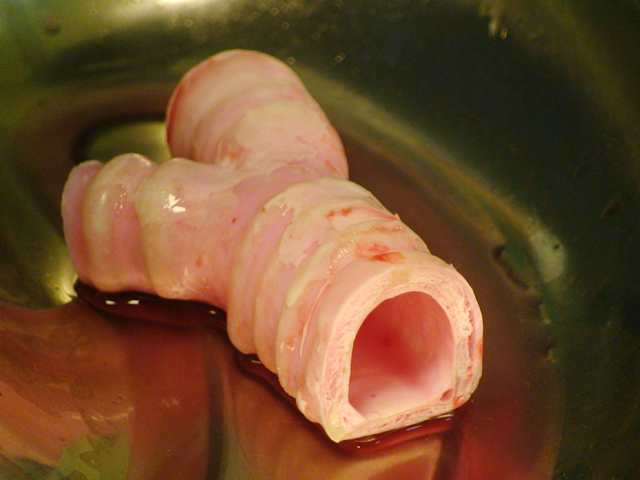 "Then we replaced the trachea with this tissue-engineered scaffold." The scaffold was placed in a container called a bioreactor and soaked in a solution that allows the cells to be fully absorbed. Once the windpipe was implanted, the cells continued to grow. "We're using the human body as a bioreactor to promote regeneration," Macchiarini said. Is the operation fail-safe? "Time will tell what the longevity of these devices is, how long they last," Dr. Harald C. Ott, an instructor in surgery at Massachusetts General Hospital and Harvard Medical School, told the Boston Globe. Ott is unsure how the artificial material will integrate into the recipients' bodies, with both the biology of the body and the outside air that passes through the windpipe. Researchers have used stem cell-seeding techniques to create other organs, including bladders and a urethra created at Wake Forest University.